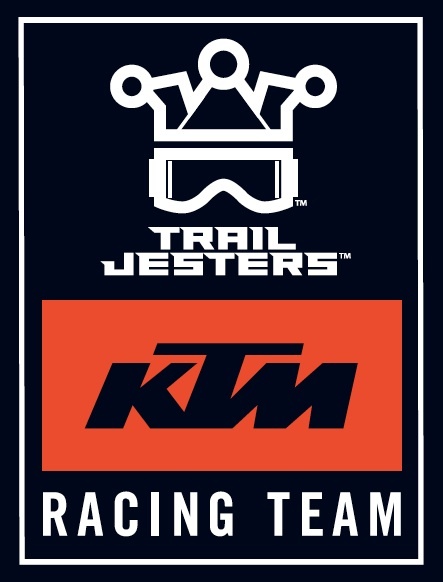 We are very pleased to announce that Mackenzie Tricker has joined Trail Jesters KTM Racing for 2017. Mackenzie is 21 years old and hails from Vineyard NSW Australia. She has won national championships in dirt track, long track and motocross including three consecutive Loretta Lynn’s titles. 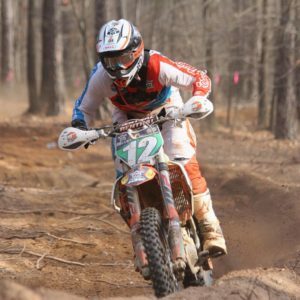 In 2017 Mackenzie is focused on the GNCC, Full Gas Sprint Enduro series and select WMX events. After two rounds for each series Mackenzie currently sits tied for 2nd place GNCC WXC and tied for 1st place in Full Gas Women’s Pro class. At GNCC races Mackenzie will pit along side Ben Kelley under the Trail Jesters banner co-located with the KTM Factory Racing team on pro row. Kenz is supported by KTM North America and her KTM mechanic is Woody Bramlett. Mackenzie retains all of her current sponsors and we look to add additional sponsors in support of her quest for 2017 championships. If you are at a GNCC race please stop by our pits and say hello. I have been waiting for the right time to update everyone on Ben Kelley. Some of you may know that Ben broke his right wrist during moto training on Sunday November 13. This was the day after he won his second JDay Offroad Sprint Enduro championship. It’s the kind of wrist break riders dread most … the scaphoid bone. This is the break can end a racers career and so not to be taken lightly. After medical consultation and getting advice from his coaches Ben elected for surgery to pin the bone to better enable a complete healing. The surgery went well and Ben’s wrist was immobilized to let the healing process begin. Ben changed to an off the bike only training program but obviously couldn’t do anything at all with his right arm. 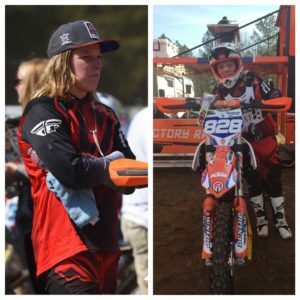 It took more than 3 months until the doctor released Ben to begin riding and able to race with a custom wrist brace (the kind Justin Barcia has worn in SX/MX). Only 12 days to get back on the bike and be ready to line up at GNCC round 1 in Union, SC. Ben’s new 2017 KTM 250 XC-F bikes were ready to go and so he did 2 days of suspension testing in NJ. He couldn’t really run at his normal pace at all but at least Gilles from GTR Suspension could get the new cone valve forks dialed in. Ben then headed to South Carolina to stay with friends and try to get some woods riding time in. He did get in two days of trail riding but the pain stopped him from pushing too hard or training for long periods on the bike. The weekend came and it was time to go GNCC racing. None of us really knew how he would fair or even if he would last the whole 3 hour race. Ben got a good start (6th off the line) but steadily moved backward the first lap. He settled in running in 13th place XC2 and about 30th overall. As the 2 hour mark passed we noticed Ben standing in his “attack” position and pushing. So we all (jesters crew was placed around the track) started to signal him to push harder and chase a group of XC2 riders about 30 seconds ahead of him. It was amazing to watch him charge and pick off the places. These weren’t easy passes either, at that point in a race no one is just moving over to let you by for position. We saw some good bar to bar action as he moved up. In the final hour Ben passed forward 7 places in XC2 and 4 in XC1 those last 2 laps to finish 6th XC2 & 18th overall. When he got off the bike he was clearly not that fatigued … just had a lot of wrist pain and pretty bad blisters on both hands. Ben had fought arm pump the first hour of the race … we believe it had to do with compensating for the right wrist injury. My take from this is he will race himself up to speed in the coming weeks and it’s just a matter of time before the pain subsides and his arm strength and wrist flexibility returns. 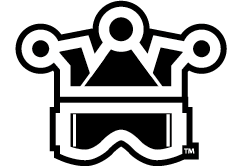 We want to thank Antti Kallonen, Brooks Hamilton and KTM North America for their support and guidance these past few months. Thanks also to Steve Hatch for the mental and physical coaching, on the bike and off, to help get Ben back in the game. Here we go … we are ready to race! https://trailjesters.com/wp-content/uploads/2016/11/TJoutline2.png 0 0 trailjesters https://trailjesters.com/wp-content/uploads/2016/11/TJoutline2.png trailjesters2017-03-07 00:38:122017-03-07 00:42:59Ben Kelley update.